In Grünerløkka, Oslo, lies Norway’s oldest library building. 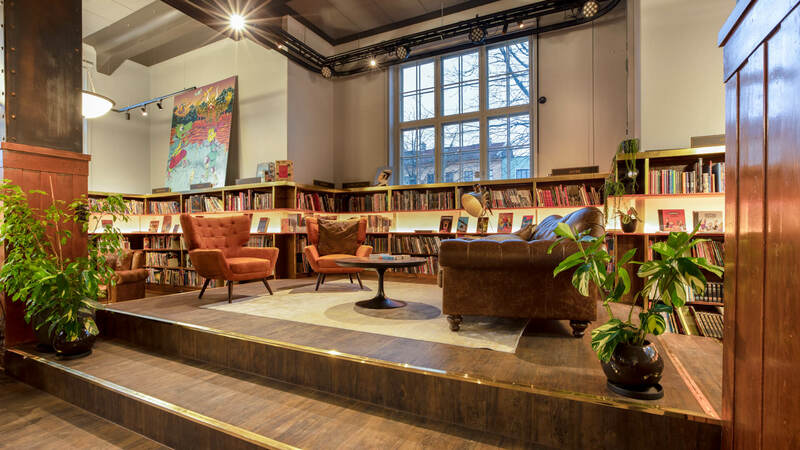 The venue underwent a complete renovation to become a neighborhood cultural hub: Deichman Grünerløkka Library. 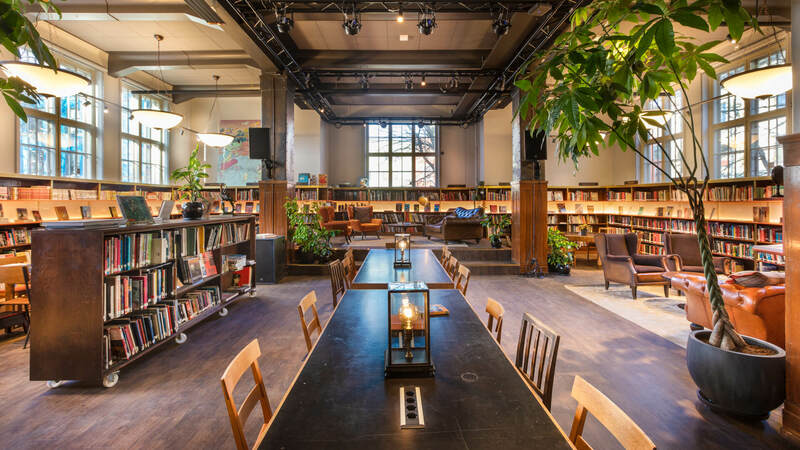 This historic building can now keep up with Oslo’s trendiest district; it’s a place to meet, exchange ideas, build, repair and grow… either by reading books or planting seeds. 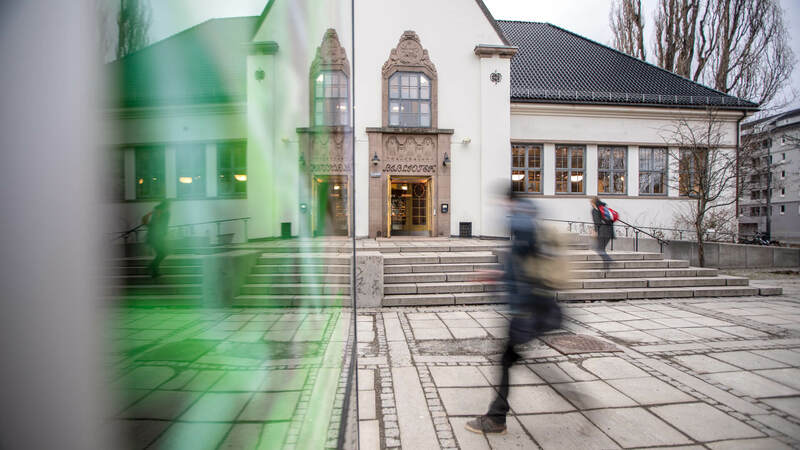 Despite being a traditional-looking building, Grünerløkka Library has foreign roots. The Deichman library director at the time had just returned from a trip to the United States. Besides travel memories, he also brought back with him the idea of the Carnegie libraries. The building of 2,509 Carnegie libraries around the world was funded by Scottish-American businessman and philanthropist Andrew Carnegie. Grünerløkka Library is modelled as the first Norwegian example of the Carnegie Libraries, with typical characteristics such as a symmetrical layout and high windows. Although a new design was planned for Grünerløkka, original monumental elements of the building were to be maintained. The goal was a balance between the original and revised version; it was time to rethink tradition. 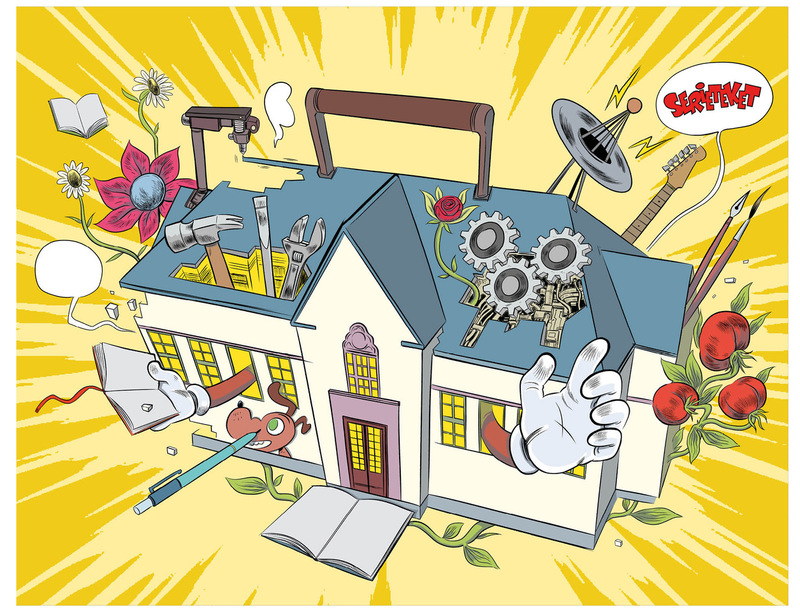 The goal was a balance between the original and revised version; it was time to rethink tradition. 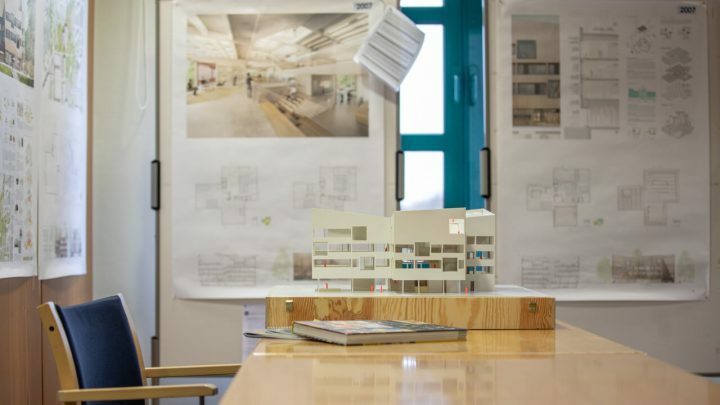 Tradition is based on people; the citizens of Grünerløkka were therefore a core component of the new library concept. 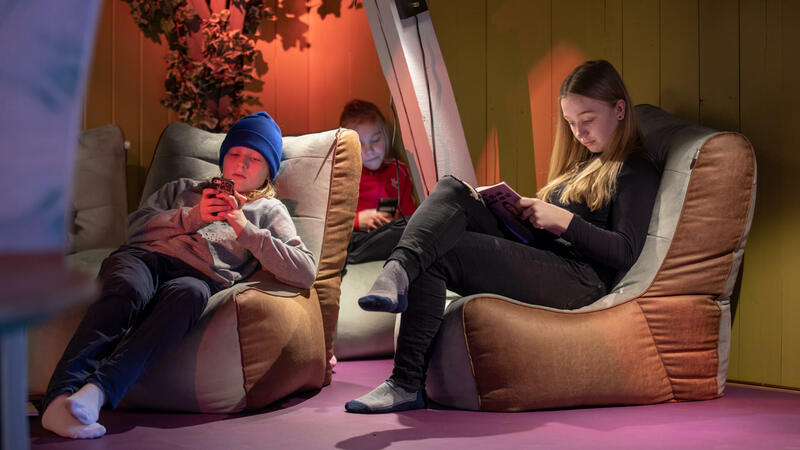 The revised Grünerløkka library concept enables people to connect, discover, inspire, co-create and learn – not only from books but also from each other. 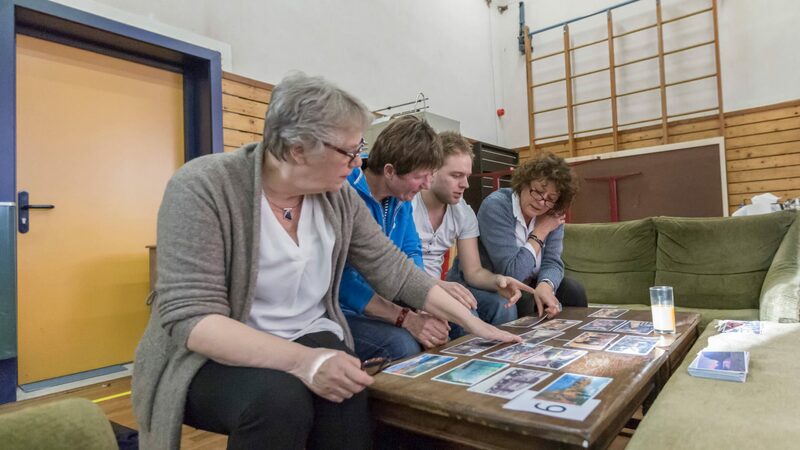 Active community participation is based on the renewed library functioning as a toolbox for localism. 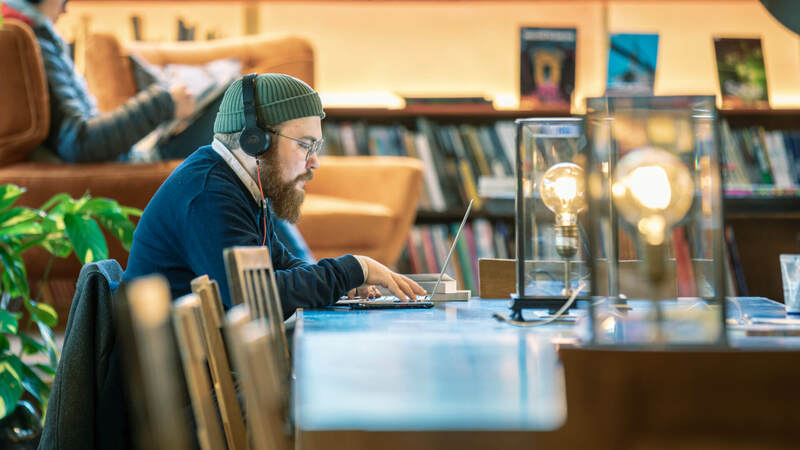 The task was to seamlessly implement universal access items (such as toilets and elevators for differently-abled persons) and also accommodate Norway’s largest collection of comics. 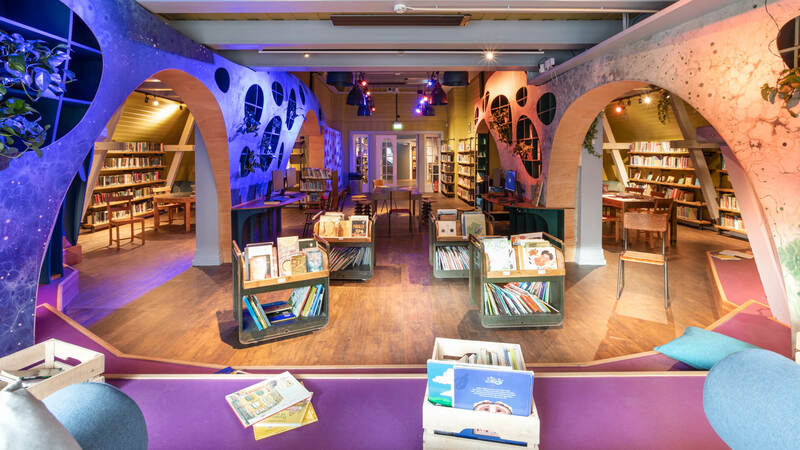 Borrowing books, repair workshops, visitors getting seeds and advice on how to grow their own food at home would all come together in this library. 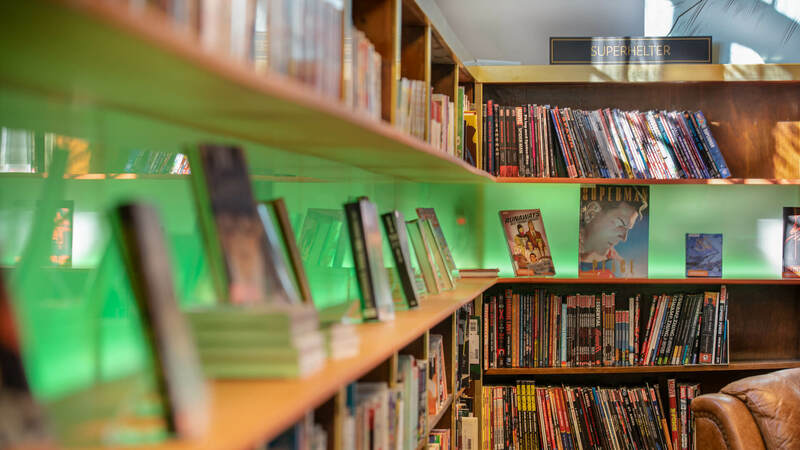 The lighting transitioned from plain ambient to artsy thanks to a small but significant element: lifting shelves and adding an illuminated shelf which showcases special items like the comics and graphics books of Deichman’s Serieteket department. The shelf’s lighting color can change depending on event and atmosphere. 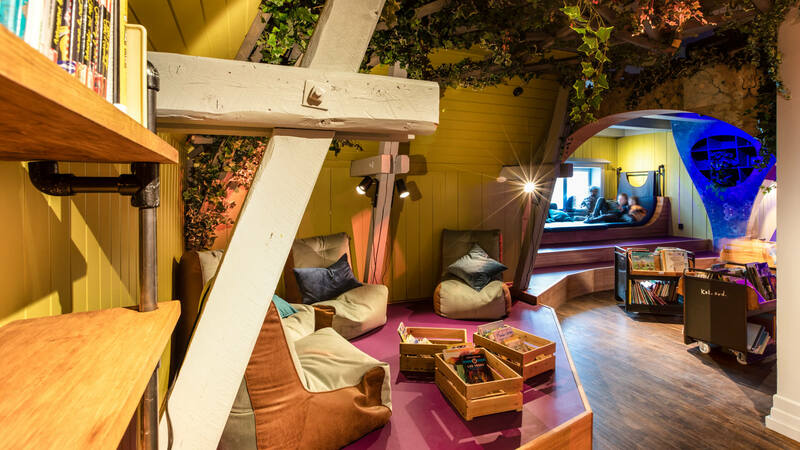 Cozy lounge corners with vintage furniture are easy to move or remove, allowing a smooth transition from ‘work mode’ to ‘event mode’. 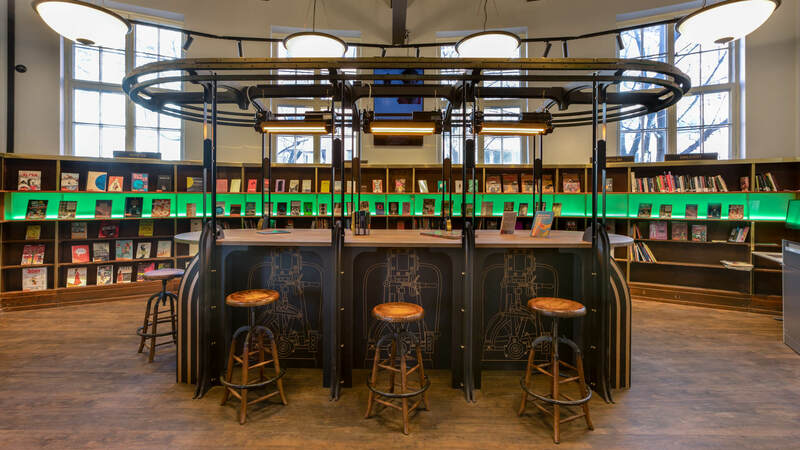 A massive information desk can be transformed into a bar. The art-deco interior theme has an industrial twist thanks to vintage ship lamps and concrete structural pillars decorated to look like solid steel structures. 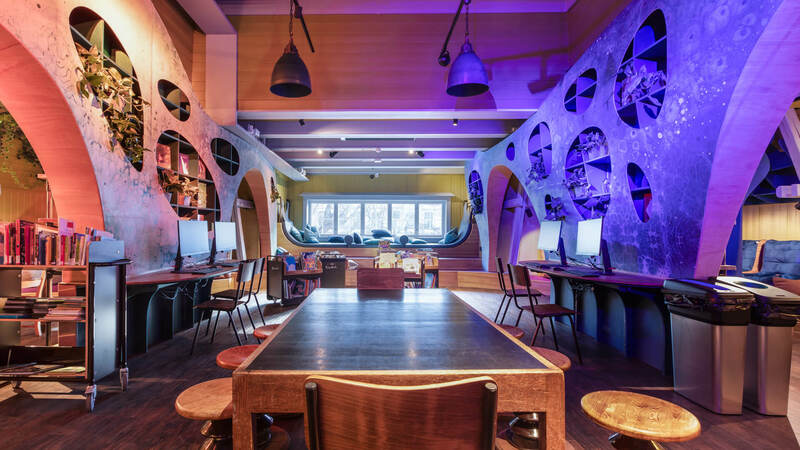 The first floor holds a workshop space, stage area and a new colorful kids’ area combining imagination and experience with the ‘interior of a Victorian sci-fi melting pot’. Wall sections with a wave-like construction flow into the room and can be used as a display or to store visitors’ belongings. 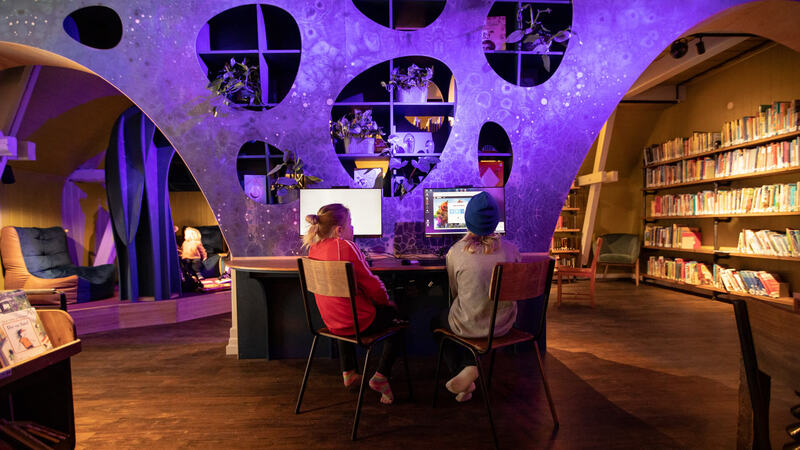 With a vast array of possibilities for visitors of any age, Grünerløkka Library invites locals to use its tools to engage with their community in this welcoming third space. 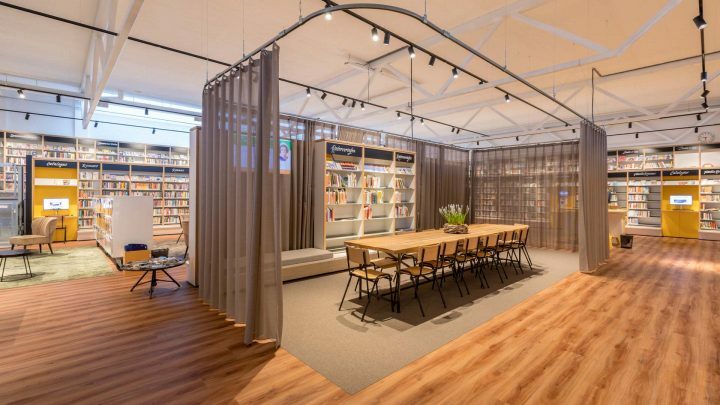 Deichman Grünerløkka Library is a co-creation of Aat Vos (design concept, strategy, creative direction – aatvos.com) and Artisan Tech – Damian Williams & team – (production & development – artisantech.no) in collaboration with Håndverkskompaniet (handverkskompaniet.no).